The pen is mightier than the sword. Words have the power to not only change lives of those characters whom we read about. Words have the power to change our lives, too. It seems to us that a lot of people have their own marvelous book that made them change for the better. Without a doubt, each author wants his or here pieces of writing to have a great impact on readers. Nowadays when the Internet has conquered the world, every person who has something to do with writing need to think about building a website. We’re not talking about these ordinary static online-projects that are never updated. We’re talking about amazing websites that include all essential information about your creative activity. In our case, we can paraphrase the first sentence in the article. Your website is mightier than the sword. Why Does Your Writer’s Activity Need to Be Presented by Means of the Website? A website will ensure your strong online-presence. If you write a novel, you need to present a detailed information about it. If you work as a freelancer, you need to display your highly-professional skills. Both your readers and customers need to know more about you. The same thing can be said about editors and literary agents. In order to fight off the competition and distinguish your talent from others, you definitely need to use some modern-day technologies and create a website. A website will provide you with a good reputation and authority. Of course, you may have various accounts on social networks but your website is considered to be this very tool that will make readers trust you. A website can be called a source of all essential information. Why do people surf the Internet? They desire to find out more. In this case, your website will provide them with all necessary information. In addition to this, by means of the online-projects, it’s completely possible to announce upcoming book releases, meetings with readers, and so on and so forth. By the way, don’t forget that your website can turn out to be an additional source of revenue. What About WordPress and Its Usefulness? First of all, you can find a vast number of WordPress themes for book authors on the web. Moreover, due to the fact that WordPress is an open-source platform, you can modify it up to your needs. In addition to this, in order to enhance the functionality of your website, it will possible to browse tons of extensions and plugins. Finally, it will take nothing for WordPress to include your website in the highest rankings in search results thanks to its wonderful SEO-friendly nature. A significant template that will allow you to unleash your potential as a writer by means of diverse tools developed exactly for this purpose. Its content-oriented and flexible design will make it possible to make your readers be curious about your creative activity and upcoming releases. 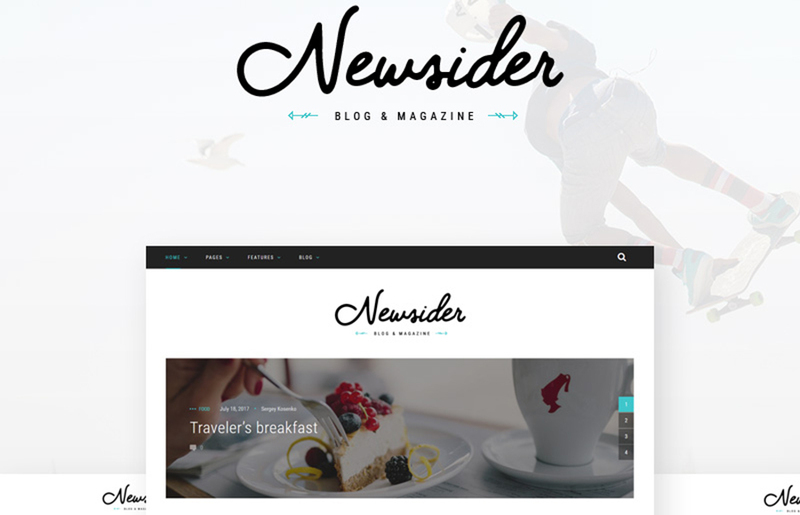 Newsider combines all necessary features that will assist you in working with a color scheme and fonts of your future website. With the help of them, you will be ready to alter the appearance of your website and make it both eye-catching and encouraging for your target audience. Your potential visitors will be invited to view a brave new world of marvelous literature. It will definitely capture their attention by means of different blog styles that look extremely attractive and engaging. Without a doubt, people won’t be ready to pass by such a good-looking and informative website. For this reason, you can be sure that this remarkable theme will turn your stylish website into one of the most popular on the web. Believe us, your works will get their recognition, too. 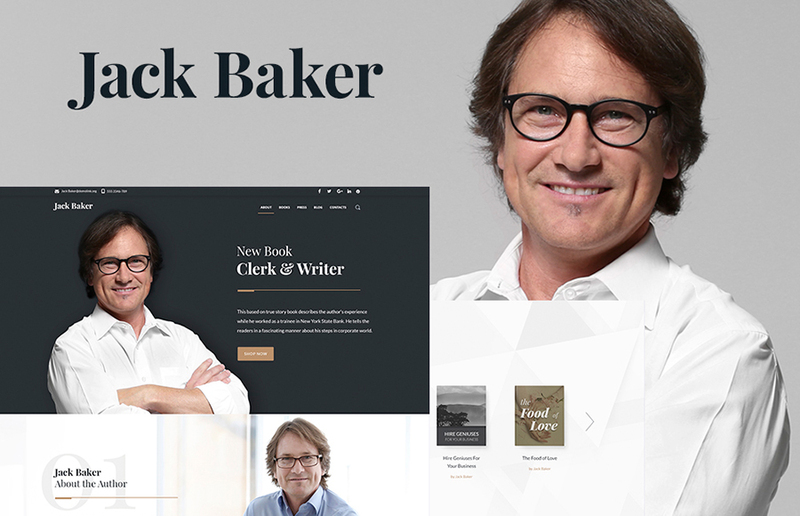 It cannot be otherwise together with such a stellar example of WordPress themes for speakers and authors. A fully-functional and nice-looking template designed exactly for presenting publishing websites on the Internet. You can be sure that this type of services has never been presented in such a captivating and engaging way. How is it possible to present your services in details and develop an outstanding image of your company together with this eye-catching theme? First of all, by means of Cherry Services, you will be able to showcase the full information about your modern-day and professional services and future plans. In such a way, it will take you nothing to gain credibility among your core audience. 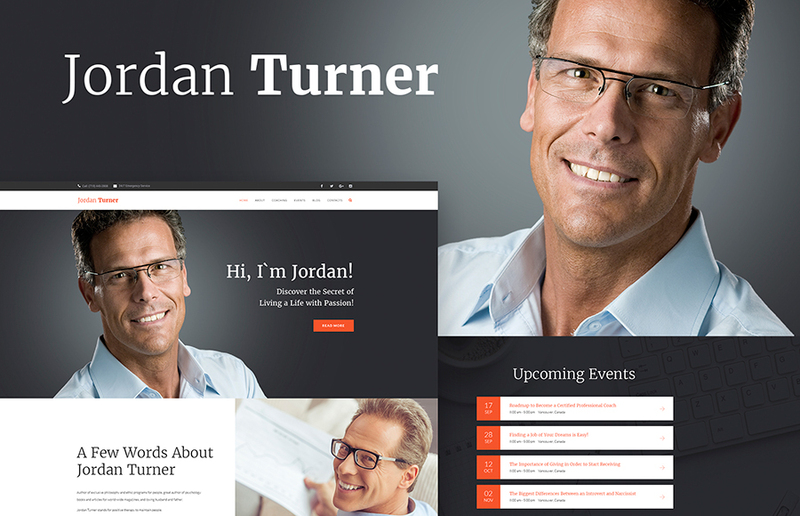 Furthermore, this splendid theme includes one more feature that will allow you to earn confidence from your potential clients. 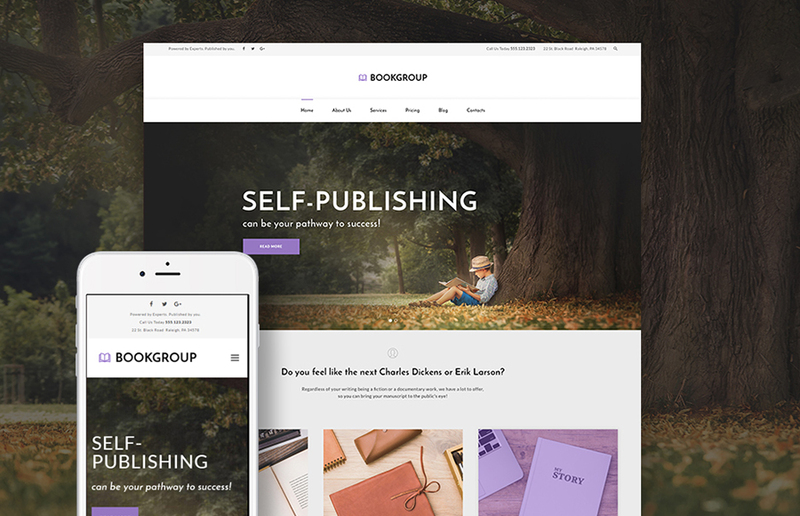 Together with such a powerful feature as Testimonials, it will be completely easy to display feedback from your loyal customers and let everyone know that your publishing company will never let them down. Finally, it’s impossible to not mention a gorgeous design made in a low-key palette of colors and wonderful background (that comes together with calm and soft tones, too). Do you feel like you can become the next Charles Dickens or William Shakespeare together with your exciting and remarkable stories? Write your own success together with this superb template that will make it possible to bring your books to the next level of popularity. HousePress won’t leave you alone in building a professionally-looking and astonishing website. It will guide you through this process by means of multiple visual tricks and functional tools. To begin with, you won’t need to learn everything about coding (or write your own book about code and its use in order to understand all crucial aspects). A fully-fledged drag-and-drop builder will make it easier to play around with your content together with a bunch of modules and a built-in library of presets. Moreover, your readers can make use of the stunning live search bar that will allow them to find all necessary information at a fast clip. Take an advantage of robust custom widgets (like post carousel, simple slider or social media widgets) that will brighten up your website and make it look decidedly richer. 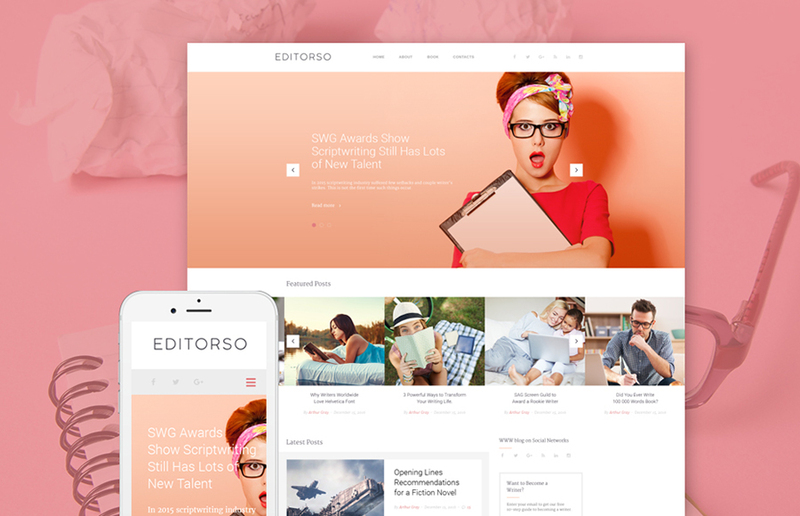 Editorso is a vibrant template created by a team of talented web-developers that took into consideration all on-trend design ideas. For this reason, this stunning theme includes an ultra-clean layout and a wide range modern-day elements and features. All of them will make certain that your future website will highlight your content and make it be interesting for your potential readers. In addition to this, it comes pre-loaded with a top-notch WordPress Live Customizer that will allow you to modify the appearance your web-project on the fly and what is more, without working with coding at all. If you dream of working with layout structures, navigation positioning, and widgets location by means of the marvelous drag-and-drop builder, your dream will come true together with Editorso. As you know, talented people are never overlooked. Anyway, this bright design that comes alongside with a fabulous photography, sophisticated typography, and rich tones will capture the attention of your visitors in a flash. A website overloaded with all essential information about your creative activity presented in an out-of-the-ordinary way. In our opinion, it will be completely impossible to pass by your online-project without taking a glance at your talent and some pieces of writing. Without a doubt, there are a plenty of avid readers all over the world who cannot simply imagine their lives without books. How is it possible to stand out from the crowd and make your website dedicated to writing and reading sparkle on the web? Our answer sounds more than simple. You just need to set your eyes on this extraordinary template that will make this job instead of you. After looking through a lot of professionally-looking websites for writers, our team has created a formula for a fascinating online-project regarding literature. 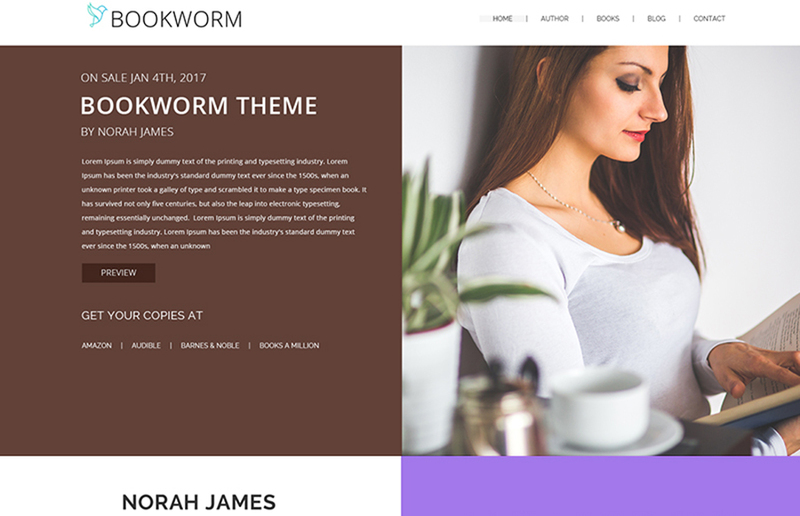 To make a long story short, this striking theme comes together with the opportunity to showcase your recently published books or upcoming releases directly on the homepage. In such a way, your readers will be aware of their summary, genre, and so on and so forth. Furthermore, they need to know everything about their well-loved writer. For this reason, it also comes equipped with a stunning author’s profile and blog. Keep in mind that you can make use of various book sections that look extremely eye-catching and remarkable. Building a strong online-presence is one of the most crucial factors that can allow a freelance writer win the Internet. This convincing template makes certain that your strongest writer’s qualities and capabilities will be presented in the best possible light on the web. Words have the power to change lives and it’s pretty possible to make people believe in this fact by means of this marvelous theme. What features will help you in this task? To start with, a flexible design will allow you to play around with post formats and blog styles. Without a doubt, your readers will fall in love with your website due to its innovative and pleasant look. As you know, social networks turned out to be an indispensable part of our lives and for this reason, MaxPaxton also includes diverse social buttons. In order to create a huge and impactful online-presentation of your skills, this theme comes pre-loaded with Cherry Projects and Services. These options will allow you to provide people with a detailed explanation of your writing skills and make them trust you in their orders. To be sure, your stories and ideas are unique. There is no need to hide them from the world, you certainly need to present your talent on the web. Fortunately, we have a superb option that will assist you in this process and allow you to become a best-selling author in no time. Without a doubt, you need to express your individuality by means of your online-project. In this case, a wide range of colors, fonts, and layouts that can be easily tweaked will turn out to be your amazing discovery. In addition to this, an incomparable collection of images will stick up to the point and make your website look even more eye-catching. Do you think that this template includes only visual tricks, but not functional? No, we won’t leave you without a chance to impress everybody with a robust and fully-fledged website. With the help of multiple Cherry Plugins (Services, Projects, Team, Testimonials, and others), it will be possible to increase the number of your readers in leaps and bounds. Each writer has his or her own identity that cannot be compared to others. For this reason, everyone who has something to do with writing should think about a creative way to uncover strong points that will lead him or her to success. 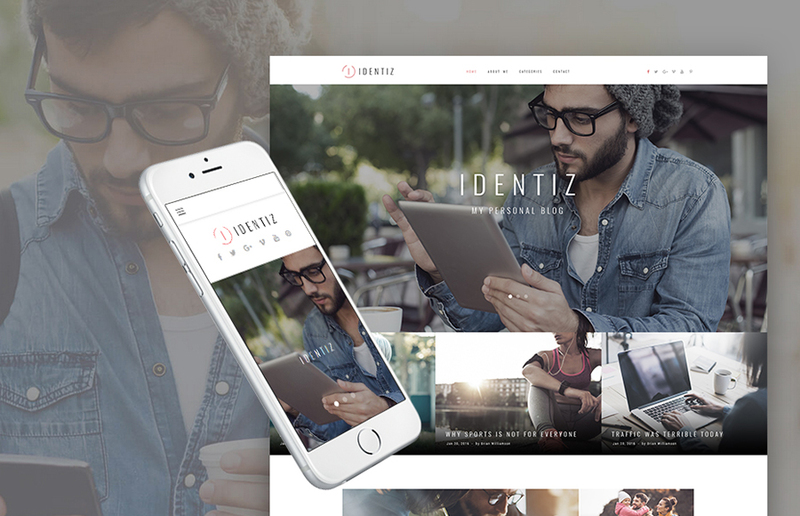 Identiz is an unmatched template which name is speaking for itself. Its professional look will focus people’s attention on the most important points of your online-presentation within seconds. Texts and images will blend into one single unity that will be impossible to leave out of the account. If you want to get some magic help, you will get a chance to work with a stunning setup wizard. It will make possible to install your theme, all necessary data alongside with plugins like a shot. By the way, you can also spice up your web-project with the help of excellent custom widgets. Your highly-professional presentation will play out in fresh colors thanks to such amazing features as a post carousel and slider. All in all, a combination of these features will ensure that your website will meet the expectation of your target audience. If you consider yourself to be a fan of writing and designs made in black-and-white colors, this unusual template will meet all of your needs. 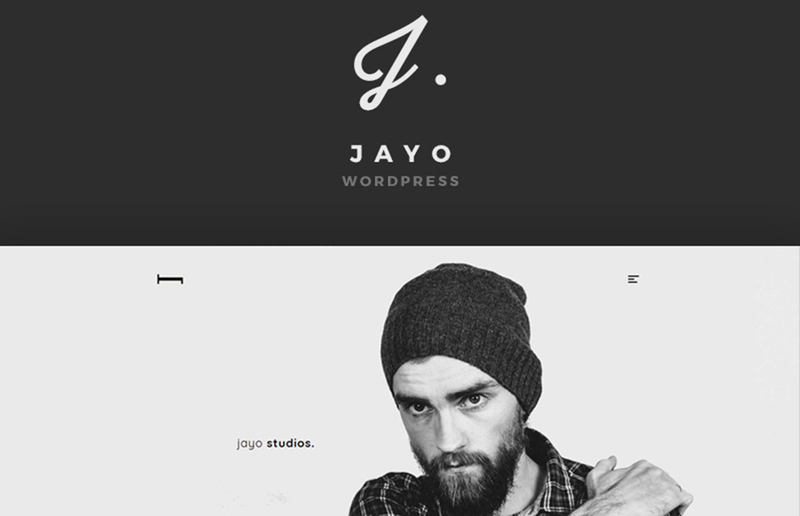 Jayo is different from other monochromatic templates and now we will explain you why. Together with this marvelous template, you will understand that your imagination is considered to be the only thing that limits your opportunities. If you think about placing a stake on visualization, this variant will make everything in its power to provide you with amazing results. 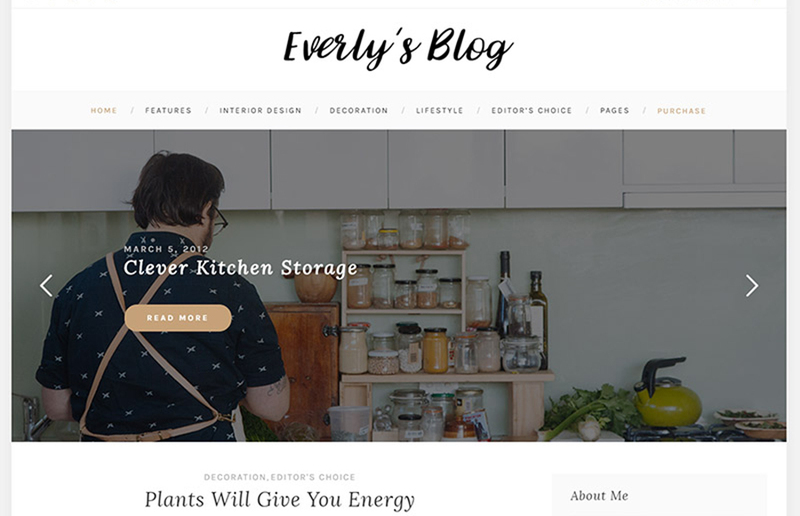 An excellent page header that comes alongside with a background image Slider, diverse types of portfolios that allow you to showcase your pictures in several columns and eye-catching blog styles. Just imagine a website that includes all previously mentioned features and think – would you click off the tab with it? In addition to this, it’s absolutely important for a freelance writer to make his or her services reliable. An About Us template that includes services and logo carousel, team grid and sliding skill bars won’t leave your readers indifferent. It will make them place confidence in your writing skills and give you a lot of orders to complete. An impressive theme that will beat all possible records and make your website be one of the most well-favored online-projects on the Internet ever. Thanks to its visually-impressive look designed taking into consideration a minimalist approach to design, there will be no one who will dislike your website. You can choose from a few homepage, blog layouts, and post templates. You will certainly find something that will deliver your main message through design and make readers adore both its look and information. It’s impossible to not mention about an elegant set of typography that will freshen up your website and change its whole appearance just in a few clicks. Moreover, a stunning Instagram feed will make it possible to post your glamorous and charming pictures directly on your website. By the way, if you readers want to get notifications on your updates right in their email boxes, it’s completely possible to do it by means of the powerful newsletter subscription. Believe us, everyone who will visit your website will be intrigued by your creative activity which will make them visit your online-project again and again. 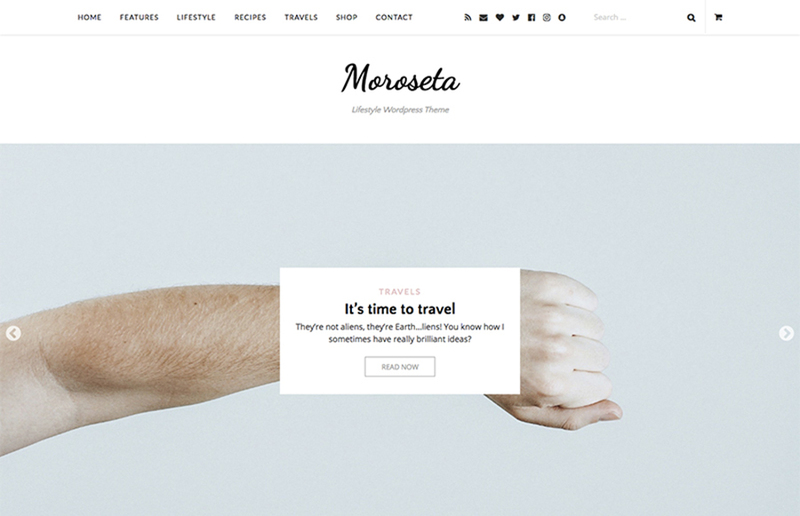 Moroseta is an exquisite theme that looks like one big opportunity to present everything connected with your author’s lifestyle by means of top-notch tools. Sometimes lives of writers may seem a little bit obscure but it’s possible to lift the veil of this secret. Of course, this gorgeous template will be your assistant in making this dream come true. Various single post layouts will allow you to present your information in the great number of unexpected ways. Furthermore, a great contact form will always be there if your readers will desire to ask even more questions. At times, writers want to earn some money together with their online-project and it’s completely okay. If you want to get some additional revenue, just implement a wonderful WooCommerce plugin and decidedly extend the functionality of your website. Don’t throw out of your mind the fact that you can modify the appearance of your online-project with the help of WordPress Live Customizer. It will make it easier to have the full control of your design and alter colors, fonts, and layouts in a flash. Let your readers discover all possible facts regarding your literature activity together with this convincing template. With the help of JordanTurner, it won’t be a big deal for you to showcase your passion for writing and make others fall in love with creating new worlds with words. 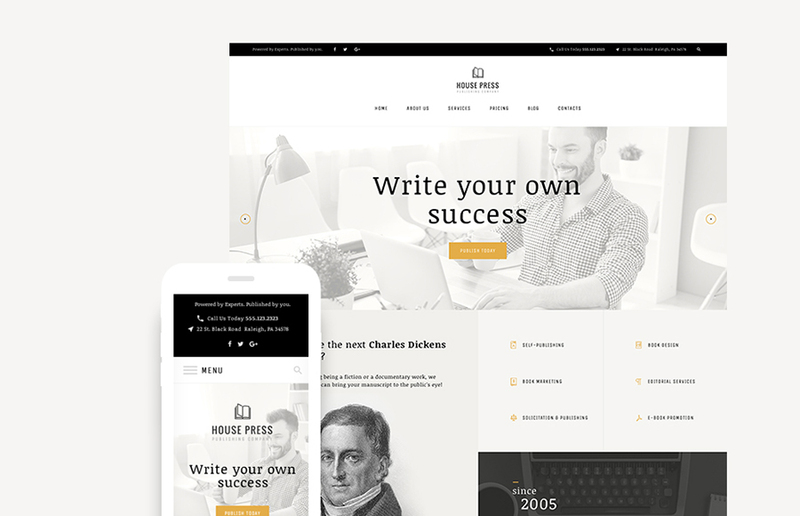 From now on we have a goal to make everyone adore writing – let’s achieve it together with this astonishing theme. It includes a wide variety of additional pages that will allow you to uncover all essential aspects regarding your writing. About, Upcoming Events, Contact Form, Features, Clients Page – it sounds pretty alluring, doesn’t it? In addition to this, you will get the opportunity to tweak your content by means of the marvelous Elementor Builder that comes pre-loaded with a bunch of robust modules. By the way, we also prepared a pleasant bonus for those who desire to have a visually-impressive website. A bunch of highly-professional free images will assist you in capturing the attention of your core audience. 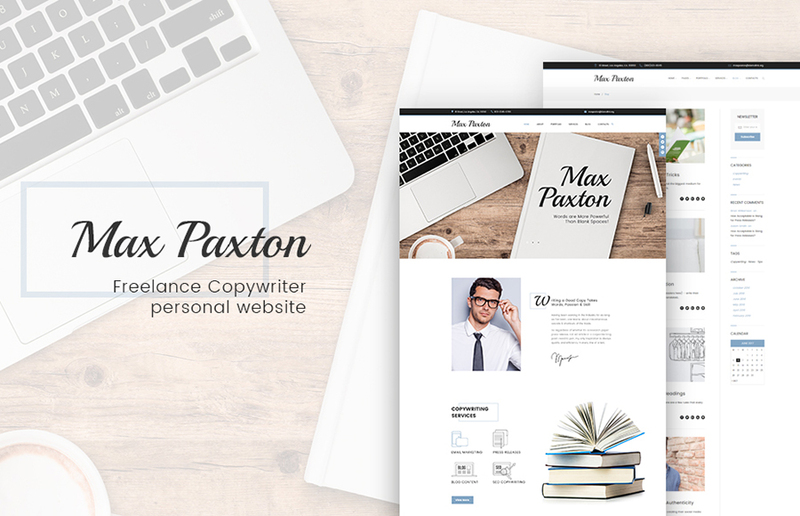 Welcome this fantastic WordPress theme for resume that includes all possible features to present your writing in the possible light. You know that writing always requires sincerity and frankness. There is no need to hide these qualities while building your website because web-design also demands openness. Create something that will make people trust you together with MaxCV. It includes a fully-functional contact form that won’t leave your readers alone if they want to get in touch with you. A marvelous client carousel will catch the eye of those people who haven’t already decided on choosing your services. A wide range of custom widgets will enrich your website and make your visitors be amazed by its stunning functional aspect. By the way, it’s also possible to reach out to people that live in diverse countries thanks to a multilingual plugin. 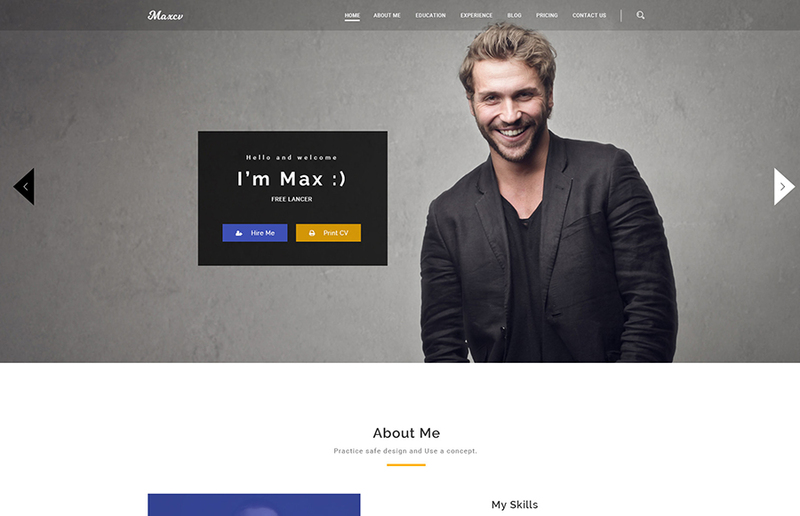 Without a doubt, your name will become recognizable all over the world if you choose this excellent theme to create your online-project. Have you ever thought about having a website that looks like a huge bookshelf overloaded with diverse literature suited to every fancy? Believe us, this magic template will make your dream come true without any troubles. With the help of custom post types and formats, it will completely possible to create unique articles that will meet every need of your readers. Brilliant Parallax and Lazy Load effects will add even more magic to your website and make it look decidedly engaging. In addition to this, just a few clicks and your online-project will change its color scheme in order to be in tune with your brand. If we were to talk about colors, it’s impossible to forget about typography that has the power to brighten up your website. A large collection of Google Fonts will allow you to find something that can be called a perfect fit for the main idea of your online-project. Actually, if you imagine a website that includes all of these options mentioned on the top, you will definitely get something that everyone wants to look at again and again. 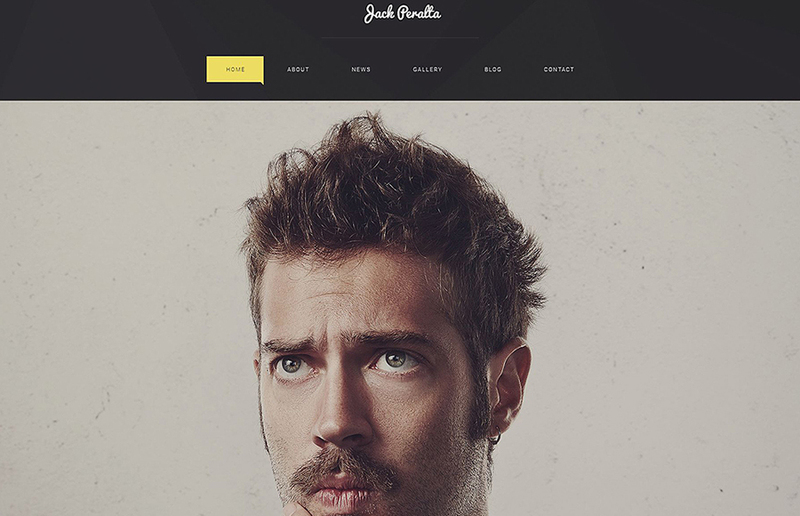 JackPeratta is an exceptional template that will sweep everyone off their feet thanks to its information-oriented design and bunch of features that are impossible to leave out of the account. An uncluttered layout won’t distract people’s attention from the main points of your An amazing filterable portfolio will make it possible to present your creative works in an out-of-the-ordinary way and moreover, by far simplify the search of your readers. Without a doubt, each writer wants her or his works be popular all over the Internet. For this reason, this notable theme includes different custom widgets that will allow your visitors to share the most thrilling posts on their social networks. If you think that you need some additional help from imagery in order to impress everyone on the web, you will be happy to find out that it also has fascinating sliders. They were developed exactly for presenting your pictures in a creative way. All in all, full-width background will make everyone agape with wonder due to their goodliness and unusualness. We are pretty sure that one of these fantastic templates will turn out to be your ultimate tool in achieving success. Write with all your heart and, without a doubt, readers will feel your passion for what you’re doing. Build a website with all your heart and, without a doubt, people won’t be able to pass it by. We wish you a lot of loyal readers, their sincere love, and recognition. Believe us, together with these marvelous designs everything will be possible. Thanks for reading!